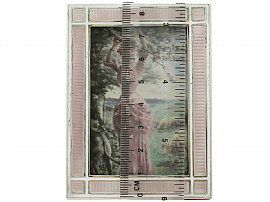 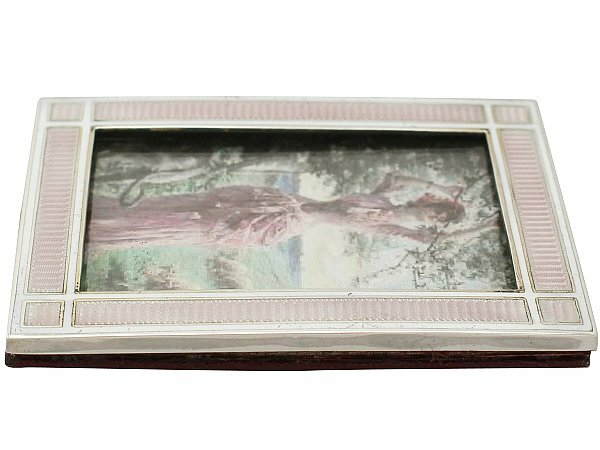 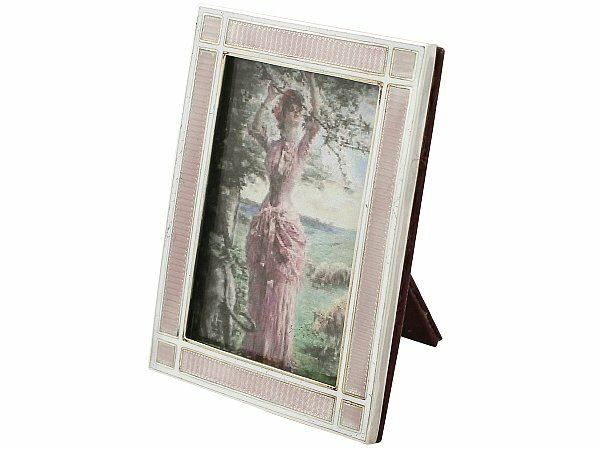 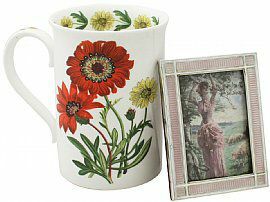 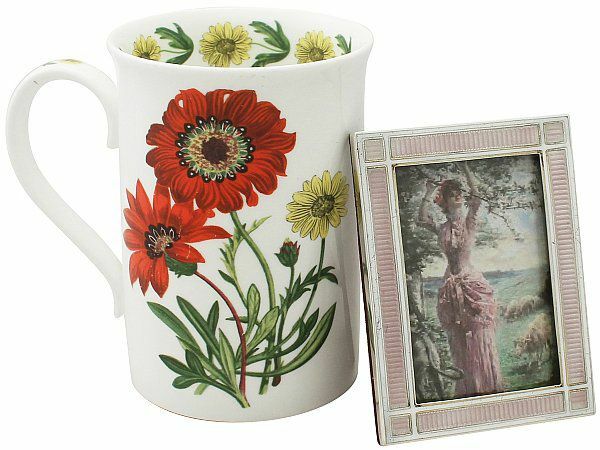 The surface of this frame is embellished with fine and impressive pink guilloche enamel panels subdivided with a white enamel border. 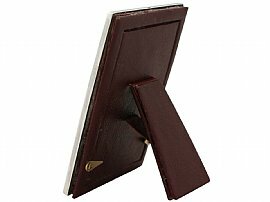 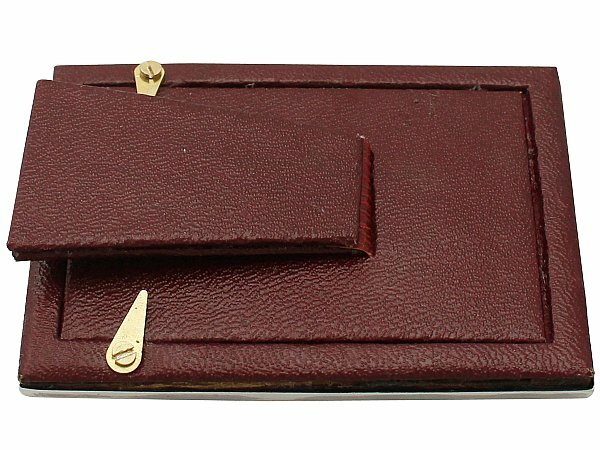 This photo frame is fitted with a leatherette covered back and hinged strut, securing with two swivel catches. 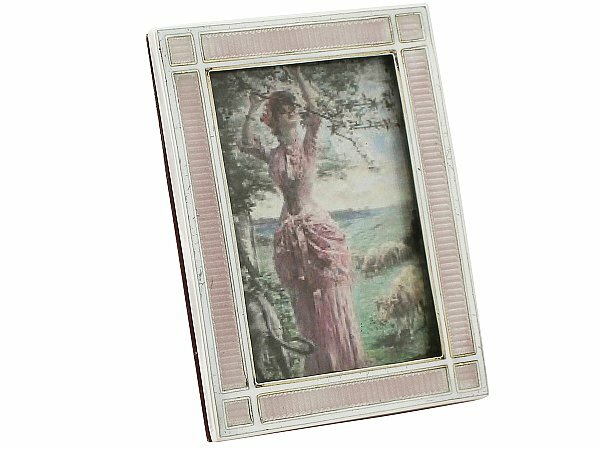 This antique photograph frame is an exceptional gauge of silver, exceptional quality and in exceptional condition. 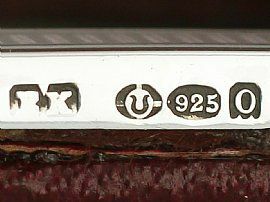 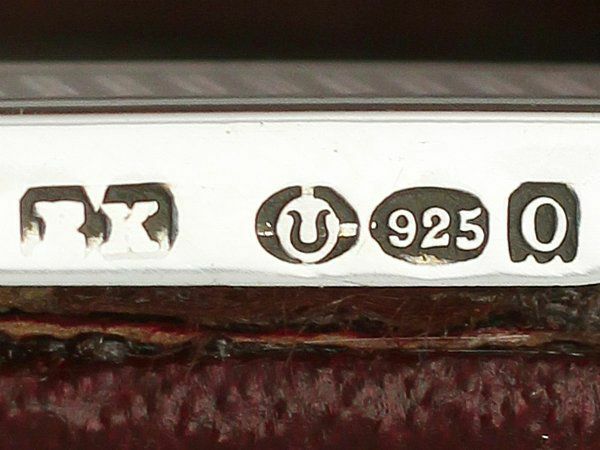 Full import hallmarks struck to the surface of the rim are all very clear; the importer's mark shows signs of wear in keeping with age, but remains legible. 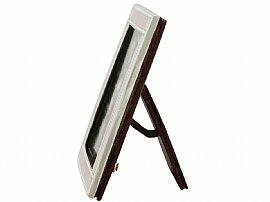 Height of internal window 6.5cm/2.6"
Width of internal window 4.3cm/1.7"